Art Motile. 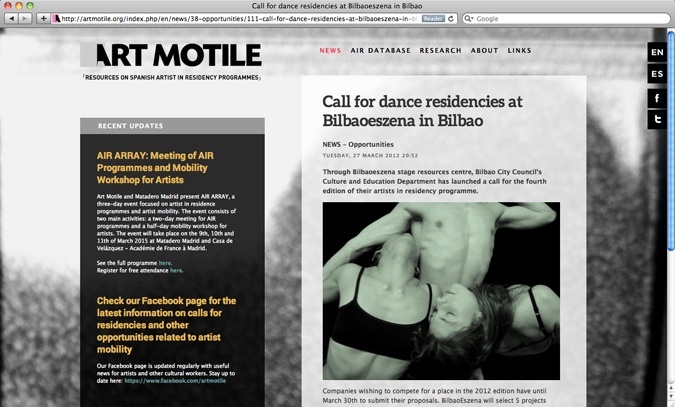 Art director, designer, and editor for non-profit arts organisation based in Barcelona. Art direction, design, website construction and maintenance, illustration, logo design, text editing, and translation. 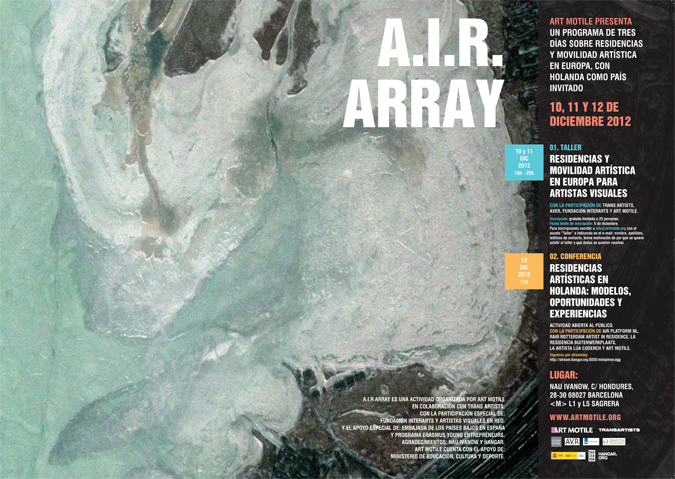 AIR Array: Perspectives on Artist in Residence Programmes. Print design for 81-page publication, separate Spanish and English language versions. Cover and back cover. Adobe Photoshop, Illustrator, and InDesign. 2015. Download the full publication in English or Spanish here. 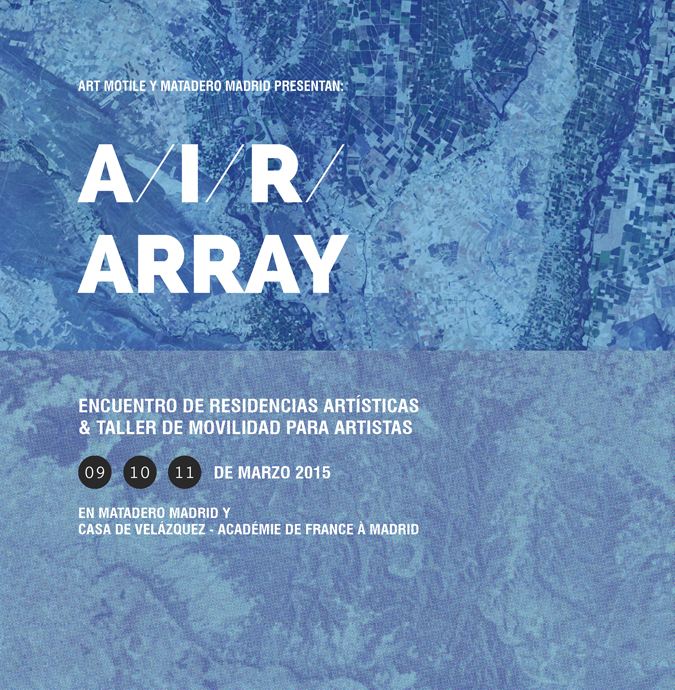 AIR Array Madrid 2015. Communication design for three-day conference & workshop. Adobe Photoshop, Illustrator, and InDesign. 2015. 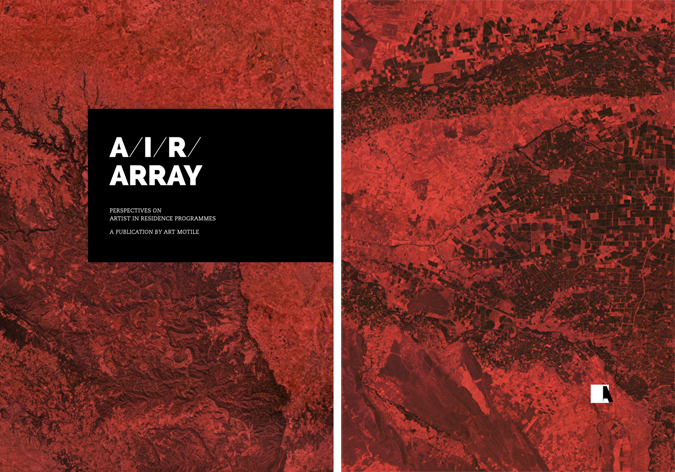 AIR Array Barcelona 2012. Programme for three-day conference & workshop. A4 print. Adobe Photoshop, Illustrator, and InDesign. 2012. 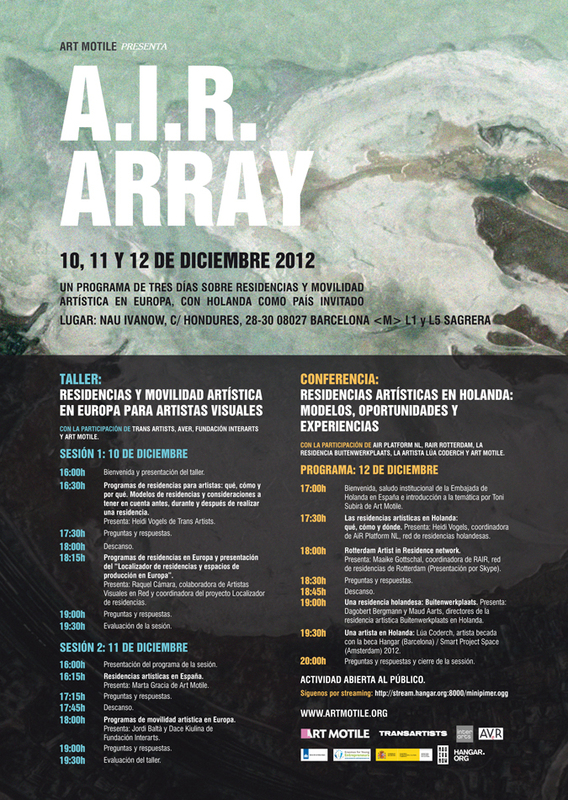 AIR Array Barcelona 2012. Poster for three-day conference & workshop. A2 print. Adobe Photoshop, Illustrator, and InDesign. 2012. Website built with HTML and CSS on a custom-built PHP template using the Joomla CSS platform. 2011.